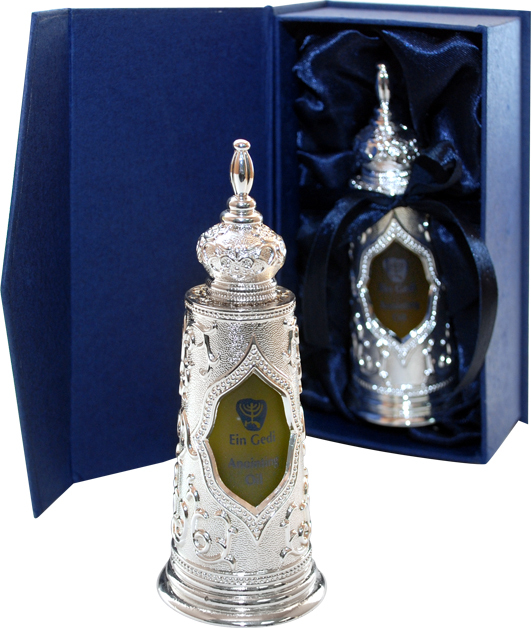 This silver bottle of luxury anointing oil is based on the Torah and has original Light of Jerusalem anointing oil in a glass metal coated bottle packed into a lovely and luxury gift box. Luxurious anointing oil as lovely smelling as it is nice to look at, this silver bottle of anointing oil that is Torah inspired contains original Light of Jerusalem anointing oil and is packed in a beautiful gift box. The bottle is glass with a silvery coating, and it makes a wonderful and meaningful gift for any occasion.